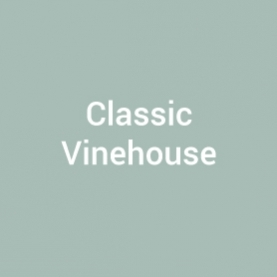 The Classic Vinehouse is designed to be compact and fit into narrow spaces, though is still able to accommodate benching and shelving. 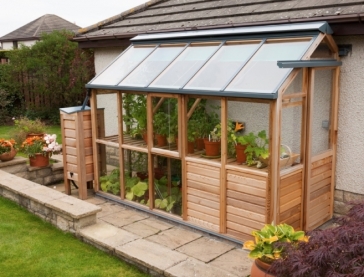 Vinehouses have the advantage of not requiring such a high wall on which to lean; for this reason these are the choice of many who wish to allow a glasshouse to go up to the wall of their home and yet still go under the eaves which could be a problem particularly on a modern bungalow. 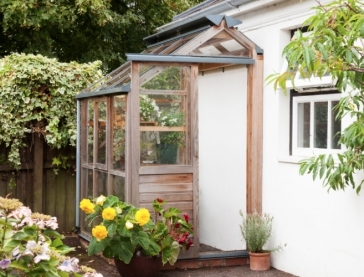 Placed on a low wall to fit in with your home or against a kitchen garden wall, this is a greenhouse to be proud of and one which will last a lifetime. 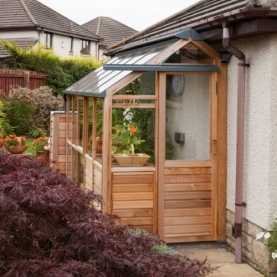 Cedar base panels may be substituted for lower glazing to provide additional insulation.